Love a beautiful COLORBOND® roof? Snap and share your favourite for a chance to win a new car. Henley has partnered up with COLORBOND® Steel to give away a brand new Mazda CX-3, valued at over $25,000 to one lucky winner. If you would like a chance to drive into your beautiful home with an stylish new car, we can help! Simply snap a photo of you and your favourite Henley display with a COLORBOND® steel roof, and share it with us on Instagram before 11.59pm on the 20th May, 2018! You’re in the draw to win! Given we are all about including more luxury as standard, it should come as no surprise that we include COLORBOND® Steel roofs as standard. To celebrate the launch of the new COLORBOND® Steel Matt range, we’d love to know which is your favourite display home roof! Do you prefer darker, toned roofs, or do you lean towards a crisp white finish? The Mazda CX-3 is all things modern, urban and chic, and would look beautiful parked in any Henley driveway. Be the envy of your friends, arriving in style, in the compact SUV boasting a 2.0 litre, four cylinder petrol engine. The CX-3 is the only small SUV class to offer both Smart City Brake Support (read: autonomous emergency braking) as standard, in both forward and reverse operation. It also has hi-tech safety features such as adaptive LED headlights, Lane Departure Warning and front parking sensors, so you can reach your destination safely. Ten finalists will be notified and invited to attend the final event draw on 2nd June, 2018 at our World of Homes experience centre at Woodlea Estate, Rockbank. Get snapping to win! Henley Arch Pty Ltd ‘Drive Home to Henley’ Terms and Conditions. 1. The promoter is: Henley Arch Pty Ltd (Henley) whose registered office is at 395 Ferntree Gully Road, Mount Waverley, VIC 3149. Phone number 03 9574 5333. Name of the promotion is ‘Drive Home to Henley’. 2. Entry is available to anyone over the minimum age of 18 who lives in Victoria. 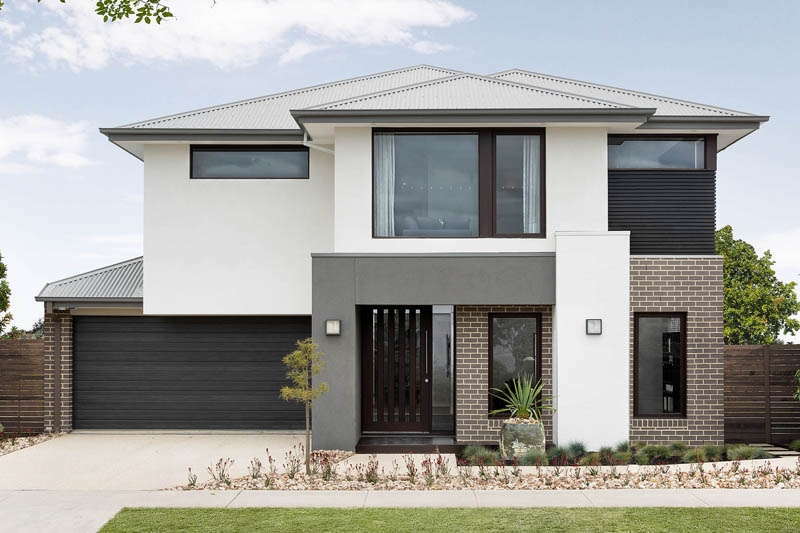 Entry involves the following 3 steps; 1) Visit a Henley display centre and take a photo of yourself in front of a Henley display home, featuring a COLORBOND® roof. 2) Follow @henley_homes and @colorbondsteel on Instagram. 3) Upload your photo to Instagram and tag @henley_homes and #drivehometohenley. Multiple entries are permitted at any time during the promotion period. 3. 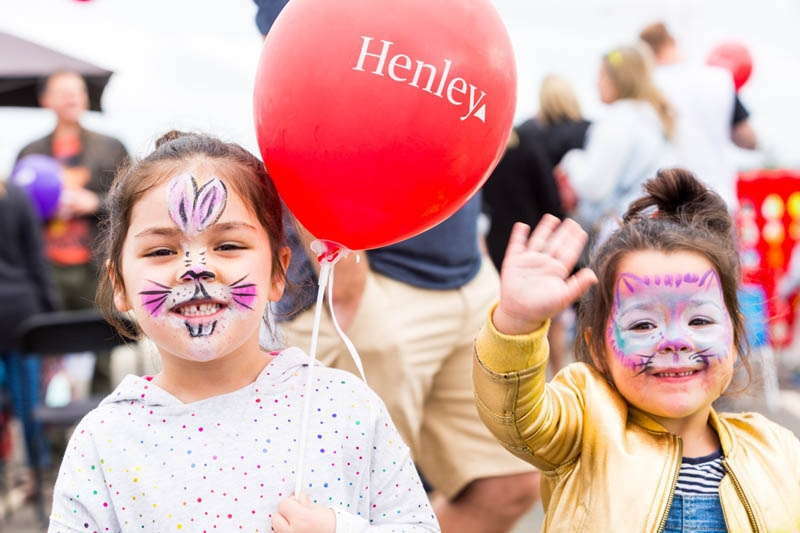 Directors, management, employees, subcontractors of, and suppliers to Henley (and their immediate families), or anyone involved in organising the competition shall not be permitted to enter the competition. The independent scrutineer is to have the right of final decision. 4. Opening date for entry is 11am on 10th March 2018 AEST and the promotion closes 11:59pm on 20th May. After this date and time no further entries to the competition will be permitted. 5. It is the responsibility of the entrant to ensure entries are received by using the correct hashtags, check in capabilities and set profile to public on Instagram to ensure entry is received. No responsibility can be accepted by Henley for entries not received for whatever reason. 6. The promoter may communicate or advertise this promotion using Instagram and/or any other social media site(s). The promotion however, is in no way sponsored, endorsed or administered by, or associated with, Instagram. Entrants are providing their information to the promoter and not to Instagram. Each entrant releases Instagram from any and all liability with respect to the promotion. 7. 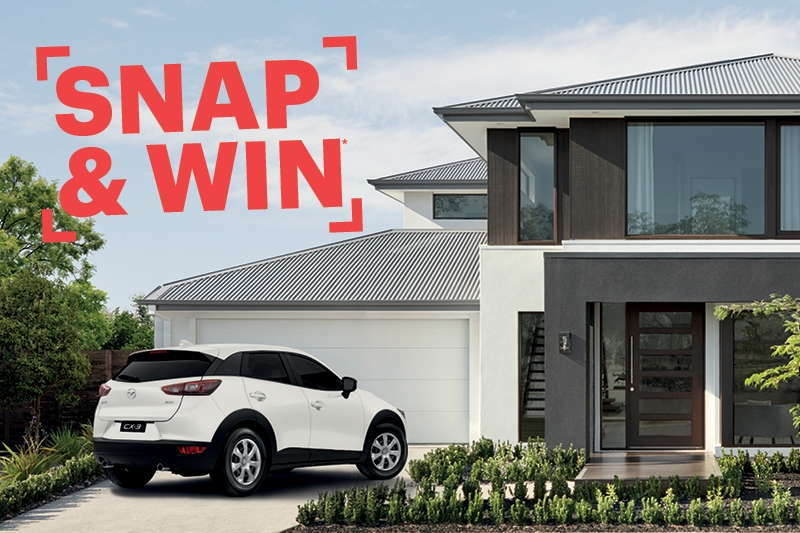 The total prize is: 1 x Mazda CX-3C Neo 2.0L Petrol 6S Auto FWD 5 Door Hatch, in Glacier White, including all on road costs (Registration fee, Compulsory Third Party Insurance, VIC Admin Fee, VIC Standard Plate Fee, Stamp Duty). Total prize pool is $26,245 RRP drive away. Prize is not refundable for cash, and no other colour option or model variant is available. 8. The prizes are not transferable. Prizes are subject to availability and we reserve the right to substitute any prize with another of equivalent value without giving notice. 9. The promoter is not responsible for inaccurate prize details supplied to any entrant by any third party connected with this competition. 10. 10 x finalists will be randomly drawn on Tuesday 22nd May 2018 at 11.00am AEST at; 395 Ferntree Gully Road, Mount Waverley VIC 3149. The finalists will be notified on Instagram by COB Wednesday 23rd May 2018. If a finalist cannot be contacted after reasonable enquiries or does not respond to Henley before 9am Monday 28th May 2018, we reserve the right to draw a substitute finalist to go into the final draw. The 10 x finalists will be invited to an event at Henley’s Woodlea World of Homes, 2 Bullion Drive, Rockbank VIC 3335 on Saturday 2nd June 2018 where the winner will be unveiled. 11. The major prize winner will be randomly drawn at 395 Ferntree Gully Road, Mount Waverley VIC 3149 on Thursday 31st May 2018 at 3pm. The winner of the major prize will be published online at www.henley.com.au within 14 days after the draw date and announced on Saturday 2nd June 2018 at Henley’s Woodlea World of Homes. 12. The promoter will notify the winner when and where the prize can be collected. If the winner does not claim the prize within 28 days of notification, we reserve the right to withdraw the prize from the winner and draw a replacement winner from the remaining finalists. If a replacement winner is required the draw will be held 28 days and one working day after the original draw at 12pm AEST at 395 Ferntree Gully Road, Mount Waverley VIC 3149. The replacement winner will be notified by Instagram and published online at henley.com.au within 7 days of the prize redraw. 13. The promoter reserves the right to cancel or amend the competition and these terms and conditions without notice in the event of a catastrophe, war, civil or military disturbance, act of God or any actual or anticipated breach of any applicable law or regulation or any other event outside of the promoter’s control. Any changes to the competition will be notified to entrants as soon as possible by the promoter. 14. The promoter is not responsible for inaccurate prize details supplied to any entrant by any third party connected with this competition.15. The promoter’s decision in respect of all matters to do with the competition will be final and no correspondence will be entered into. 16. By entering this competition, an entrant is indicating his/her consent to participate in promotional activity surrounding the winning of the prize (such as publicity, photography and videography) and consent to the promoter using their name and images in future publicity material. 17. The winner agrees to the use of his/her name and image in any publicity material. Any personal data relating to the winner or any other entrants will be used solely in accordance with current Australian Privacy Principles under the Privacy Act 1988 (Cth). Data collected from winner will be held at Henley and Mazda Motor Corporation Australia Pty Ltd to meet safety and legal requirements and may be used for Sales and Service follow up or direct marketing purposes and may be shared with Mazda Motor Corporation Australia Pty Ltd. If you do not consent to collection of this data you will be unable to take part in this competition. 18. Entry into the competition will be deemed acceptance of these terms and conditions. COLORBOND® is a registered trade mark of BlueScope Steel Limited. © 2018 BlueScope Steel Ltd ABN 16 000 011 058. All rights reserved.